This quote, a variation of which first came from Peter Drucker, pretty much enshrines the modern approach to management and optimization. This applies to every aspect of your marketing, including lead generation. Once you know how your lead gen campaign is performing, you can take steps to improve your results. In this post, I’ll show you the most important lead generation metrics you need to track, and how to track them. Not all metrics are equally useful for every business. For example, a small blogger with a list of 800 people will have different targets than a large B2B business with a huge database of leads. The first step is to identify what to measure as it relates to your specific business goals, processes and target audience. The lead gen demands, processes and metrics are very different for B2B and B2C businesses. The former emphasizes lead quality, while the latter focuses on lead volume. This, in turn, affects the process that the business uses to acquire leads. A B2C might turn to social media to capture its leads, while a B2B may find a PPC ad campaign more effective. Keep this in mind when you start your lead gen campaign. Product category – Some categories, such as clothing or food products, see much higher volume than others, like electronics. For example, a customer might buy a TV once every 5 years, but they might buy a t-shirt every few weeks. Product type – Is your product a luxury item (i.e. low volume, high cost and margins), a recurring purchase (such as coffee or rice), or a novelty, one-off item (such as a gag gift)? This will affect your entire sales process. Product cost and margins – A low cost/low margin product means you’ll have to sell more of it to make money. So you need a higher volume of leads and stronger conversion rates. A high cost/margin product, on the other hand, requires lower volume but higher quality leads. It’s worth mapping out the life-cycle of your product before getting started. 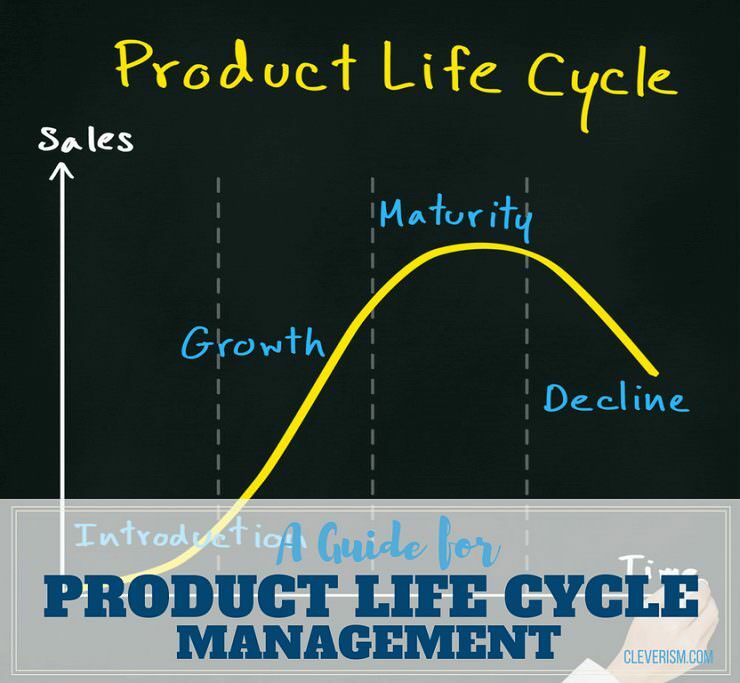 This guide from Cleverism explains more about the management side of product life-cycles. Upsell – Selling a customer an upgraded version of a product at a higher price. Example: McDonald’s selling you a 500ml Coke instead of a 300ml for $1 more. Cross-sell – Selling a customer a product that’s unrelated to their purchase, but has some relevance to their needs. Example: A digital marketing agency offering web hosting to a client. Down-sell – Selling a cheaper variant to a customer who didn’t convert at first. Example: Offering a cheap, custom plan to a SaaS product trial customer. If you have upsells, cross-sells and down-sells to offer to your customers, your customer lifetime value (CLTV) will likely go up. You will also need to track conversion rates for each of these additional offers. This, in turn, will impact your lead gen targets and metrics. As a marketer with a focus on lead generation, your job is to keep the pipeline filled with leads. But if you don’t have a defined, well-run sales process further down the funnel, your lead gen efforts will largely go to waste. So, before you measure the impact of your lead generation efforts, you’ll need to find any leaks in your sales process and fill them. Do you have your sales funnel mapped out? 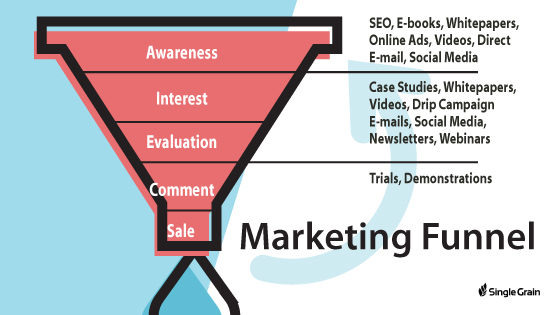 Do you have offers for each stage of the funnel? Are you using automation and optimization for every funnel stage? Do you have a clear lead handover between sales and marketing? Do you have clear metrics defined for your MQLs (Marketing Qualified Lead) and SQLs (Sales Qualified Lead)? Put each step of your sales process under a magnifying glass and optimize it as much as possible – but remember that the optimization process should be continuous, even throughout your campaign. And test everything – from landing pages to check-out pages. Once you’re clear on the points discussed above, you can start tracking your lead generation metrics. Below, I’ll show you some of the most important lead gen metrics you should be tracking, regardless of your business size and complexity. These metrics will tell you how your campaign is performing. Use them to figure out the performance and impact on any particular creative, ad, offer or landing page. The CTR measures the performance of any CTA (Call To Action). It tells you how many people are clicking your CTA on any landing page, ad creative or email, etc. Your conversion rate is one of the most important metrics you can track. This tells you how many of your visitors are performing a specific action (filling out a form, clicking a button, etc.). In the above example we saw that out of 1,000 views on an ad, only 15 turned into actual, verified leads. If your campaign goal was to capture leads, your conversion rate would be 1.5% (15/1,000). Visitors to lead – The number of visitors who turn into verified leads. Leads to opportunity – The number of leads who go to sales (i.e. become “opportunities”). Opportunity to win – The number of opportunities who turn into actual paying customers. While the first metric tells you the top of the funnel performance of any campaign, the final metric – “opportunity to win” – tells you whether the campaign actually brings in results. If you want to know how long it takes to turn a visitor into a verified lead, “time to conversion” is the metric that helps you measure it. This metric becomes important if you have a lengthy sales cycle or a complex verification and qualification process. For instance, suppose you need to call a lead to verify that the number is correct before you can pass it further down the pipeline. Tracking “time to conversion” will help you measure your verification process performance. You’ll want to track the total time to conversion for every stage of your funnel (visitor to lead, lead to opportunity etc.). This will give you an idea of your sales cycle length as well. Tracking time to conversion is straight forward – simply calculate the total time spent by all your visitors before they meet a conversion goal, then divide it by the total number of leads. For example, if it took three leads 24 hours, 36 hours and 42 hours respectively to verify their email addresses, your time to conversion would be 34 hours ((24 + 36 + 42)/3). ROI is arguably the most important metric in any campaign. You might even say that it is the most important metric in your entire business. ROI is simple: It tells you how much money you made with your initial investment. This is expressed as a ratio or a percentage value. For instance, suppose you know that you can make $12 off every lead you capture. If you spend $10 capturing a lead, your ROI is 20% ($12/$10). Measuring ROI can be challenging, especially if you have a more complex product offering. For a complete picture of the ROI, you’ll need to calculate the total costs for every stage of the funnel as well as the total money you can make off a customer (i.e. average CLTV). For the sake of simplicity, you can start off by simply measuring the total cost of capturing a lead. Total cost for creating an offer, including all its supporting content and landing pages/ad creatives. How much you expect to make from each verified lead. You spend $500 developing an e-book. You also spend $50 on a landing page template and $50 to create 10 different Facebook ad variants. Next, you bought $200 worth of ads on Facebook. This netted you 100 visitors at a cost of $2/click. Out of these 100 visitors, you were able to convert 10 into leads. You spent $50, or $5/lead, to verify each lead. On average, 1 out of 10 leads buys a $1,000 product from you. In this case, you’ve spent a total of $850 on acquiring 10 leads, including costs for creatives. You can make $1,000 from these leads. This means your ROI is 15%. Keep in mind that some of the costs are recurring (such as money spent on ads), while some are one-off (such as the cost of an e-book). Cost metrics are simple: they tell you the cost associated with acquiring traffic and leads. If you’re getting traffic through paid advertising, measure your cost for each click. Your advertising tool should tell you this metric easily. You’ll want to track the CPC for each ad, as well as the campaign as a whole. In case you’re buying traffic through display ads, you’ll want to track your cost per thousand impressions (mille) or CPM. Again, track this metric for each ad as well as the whole campaign. Cost per lead is the total money you spend acquiring a lead (i.e. average cost per lead). Variable – Costs that might vary over time, such as traffic acquisition costs. One-time – Any one-time costs, such as cost to create an e-book for your download offer. Recurring – Recurring costs involved in capturing a lead, such as the cost of email marketing software. A lot of marketers miss the recurring and one-time cost components. Instead, they assume that the cost of acquiring traffic is their cost per lead calculation. This gives you the wrong impression of the actual cost of your leads. If you run this campaign for a month, your expenditure is $1610. If you capture 100 leads, your cost per lead is $16.10. Keep in mind that some of your one-time and recurring investments can be reused. In the above example, you might run another campaign on Facebook using the same offer. If that happens, divide your one-time and recurring costs by the total number of campaigns. For instance, if you use the same e-book in 5 different campaigns, your one-time offer cost per campaign is $100. Doing this will give you a more accurate picture of your lead acquisition costs. Your channel metrics tell you how each of your channels is performing (social, SEO, etc.). Lead generation rate is the total number of leads captured, divided by the total number of visitors through a particular channel. If you’re running a campaign on multiple channels, this metric will give you an overview of each channel’s performance. Your channels will usually be social media, organic (SEO), paid and referral. You can go into more details by tracking traffic sources within each channel (such as Facebook, Twitter and LinkedIn on social media). For instance, if you converted 100 of your 10,000 visitors through social media into leads, your lead generation rate is 1%. If you converted 100 of your 2,000 organic visitors into leads, your SEO channel rate is 5% (100/2000 x 100). Lead generation rates differ by traffic source. Social media visitors generally convert at a lower rate than PPC or SEO traffic. This is why it’s a good idea to factor in traffic acquisition costs when measuring the performance of any channel. This metric tells you how close you are to meeting your lead generation goals for each channel in any particular month. Use this metric to see if you’re on track to meet your goals and if you need to allocate resources differently. If you see that you’re far behind your target, you can increase/decrease spending on each channel accordingly. It’s best to do this on a month-to-month basis as it gives a better picture of performance. You might want to do this on a week-to-week basis if you have a high lead volume. To track this metric, start by figuring out a (realistic) target for your monthly leads. From this number, you’ll know your daily lead target. Track whether you’re meeting your daily target to know your MTD channel performance. For example, if your target is 600 leads via social media, your daily target is 20 leads/day. If you’re crossing this threshold, you’re on target for the month. Any serious lead generation campaign needs a robust process to measure its performance. The more metrics you can track, the more you’ll understand which channels, offers and campaigns are working for you. Start by measuring the 9 critical metrics we’ve discussed above. Tracking these will give you a lot of insight into your campaign performance. Adam Connell used to manage the content marketing efforts for brands earning well over 8 figures in annual revenue. Now he teaches entrepreneurs how to get more customers online over at BloggingWizard.com.